So the first trophy of the season has been claimed and it was an important one for a number of reasons. Firstly, it was the only realistic chance for League 1 sides to win some silverware this year. Secondly, it was a good chance for the southern, expansion teams to have a bit of a cup run with the early rounds being regionalised. And finally, it was a chance for one team to have a moment in the spotlight without Toronto Wolfpack being involved to spoil the party. It has to be said that whoever’s decision it was to allow the Wolfpack to skip this competition and concentrate on the league and Challenge Cup must be thinking now that it was a great idea. This allowed the other 15 clubs, plus amateur side Rochdale Mayfield, a chance to shine without having to worry about meeting a full time professional side in what would have no doubt been a very one-sided game. Looking at Toronto’s league results already this season that is clearly evident and the RFL may as well have just given them the trophy before a ball was thrown if they had decided to enter it. Anyway, enough about the Canadians, they weren’t entered so had no chance of winning it. Another thumbs-up of mine that I liked about the competition this year was the decision to regionalise the first round. Grouping the teams into north and south enabled the expansion clubs to enjoy a mini cup run of their own. Unfortunately this was the only round to be split north and south (five games in the northern section, three games in the southern) before the southern clubs inevitably met the traditional northern sides. On the opening weekend of the season, the northern section saw wins for Workington Town in a West Cumbrian derby over Whitehaven. 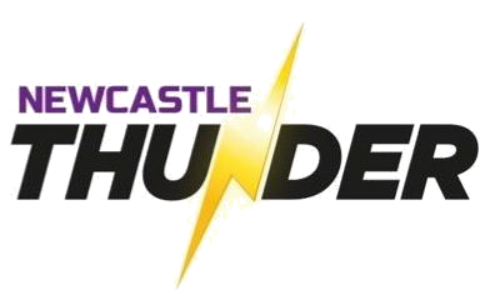 Newcastle Thunder carried on their good form from the end of last season with a shock away victory over Hunslet. Keighley Cougars won through a tight game at home to Doncaster. North Wales Crusaders stunned the home York City Knights crowd with a victory in extra time. And on the Saturday of the opening weekend, Barrow Raiders comfortably overcame amateur side Rochdale Mayfield by 30 points. Elsewhere in the southern section, Oxford enjoyed a narrow victory over Coventry Bears, Gloucestershire All Golds proved far too strong for Hemel Stags and London Skolars were the final team to win through to the Quarter Finals with victory over South Wales Ironmen. The short but sweet regionalisation of the draw ended from this round onwards but there was still an all-southern tie when London Skolars were drawn away to Oxford. It was the home side who came out on top thanks to a narrow 24-20 victory and secured a place in the Semi Finals at the expense of the side from the capital. They were joined by another southern side in Gloucestershire All Golds who shocked Cumbrian side Workington when they won 30-22 away from home. 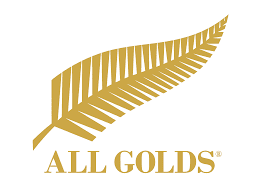 All Golds were originally drawn at home but had to switch to West Cumbria as their ground was unavailable. 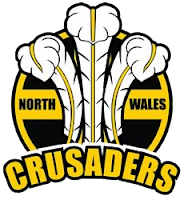 The two all-northern ties were played the following day where North Wales Crusaders were able to gain revenge for their League 1 Shield final defeat to Newcastle Thunder, winning 24-16 at the same North East venue of Kingston Park. The final tie of the round saw favourites Barrow Raiders secure another comfortable victory at home to Keighley Cougars, overcoming their Yorkshire counterparts by 28 points to 6. Four weeks later the Semi Finals got underway with two North verses South ties. Barrow Raiders had the easier of the two ties with a home draw against Oxford, whilst North Wales Crusaders travelled to Gloucestershire All Golds. The final results were what were expected to be honest. Barrow trounced Oxford by 50 points, 64-14, but All Golds almost pulled off another coup but unfortunately succumbed to North Wales by just nine points, 28-37. So Barrow Raiders, the form team of 2017 and favourites for the competition, had reached the final – their first major cup final since they beat Widnes 12-8 in the old Lancashire Cup competition back in 1983. 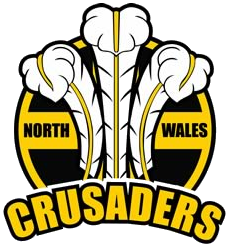 Their opponents would be North Wales Crusaders, a club who never played in the Lancashire Cup but did enjoy a brief spell in Super League under their former guise as Crusaders RL and won this competition in its inaugural year beating Swinton Lions by the same score in 2015. 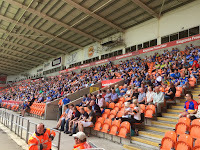 As in the previous two years the Final was played as the curtain raiser to the Championship’s Summer Bash weekend in Blackpool. 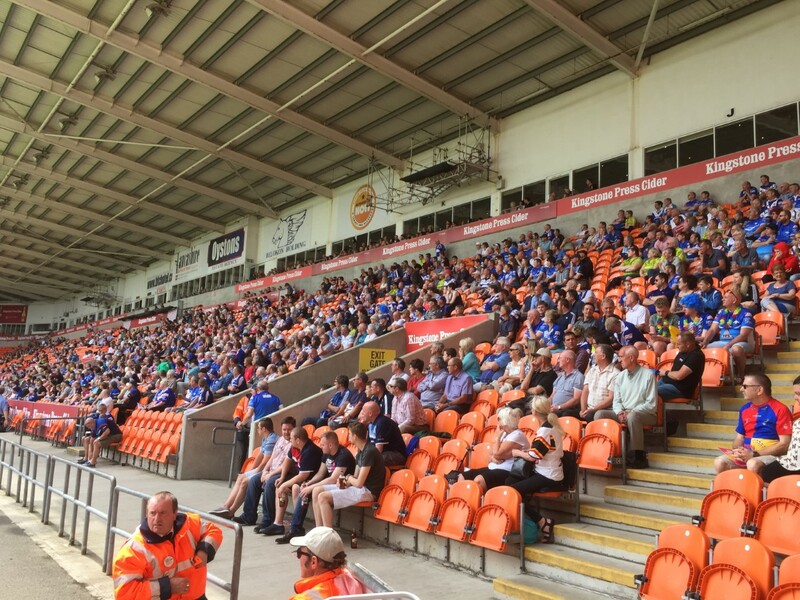 For most supporters this game was a foregone conclusion – a comfortable victory for Barrow was on the cards, the fans would have a good day out supporting their team and sinking a few beers in Blackpool afterwards. But with this game coming at the end of a difficult few weeks for the Raiders many of the fans were a bit more cautious about the outcome. Coming into the game on the back of a narrow victory over Keighley in midweek, followed by heavy defeats to Leeds Rhinos and Toronto Wolfpack, Barrow were looking at this game for restoring some pride back into their squad. Crusaders on the other had were coming into this game after a comfortable 50-10 victory over London Skolars the week before and a week off prior to that with having no Challenge Cup commitments to deal with. And despite Barrow’s impressive early start with a try and conversion inside the opening two minutes, the floodgates stayed firmly shut and it was North Wales who scored next to level, and then took a shock lead half way into the first period with another converted try. Thankfully for the 1,000 faithful Barrow fans in attendance their side churned in another three tries before half time with one converted to lead 20-12 at half time. After a brief rest and a few Barrovian brows mopped up after a nervy opening 40 minutes it was time for the second half to resume. Talk around the ground was for Barrow to come out of the blocks flying and if they got the first score then may were expecting a 50+ score-line in their favour. But full credit to the Welsh side, they didn’t cave in and actually scored three consecutive tries of their own, all of which were converted, in the space of 12 early second half minutes to retake the lead at 30-20! Thankfully, Barrow had enough in the tank and when to score two more tries and eventually bring the scores level at 30-all with 13 minutes to go it was game on. It was the Crusaders who struck again though with a penalty through Tommy Johnson, his sixth successful kick from six attempts to restore their lead for a third time, this time only by two points. Unfortunately, that was never going to be enough as Jamie Dallimore slotted home a penalty of his own to level the match and with five minutes to go the Raiders struck a telling blow with their seventh try of the contest. With the conversion added Barrow were 38-32 ahead and North Wales would have to score twice to win. Try as they might it just wasn’t to be for Crusaders, despite a last ditch attempt as the hooter sounded to send a kick over for the winger to chase, as Dallimore was on hand to knock it out of play and send the Barrow fans into raptures. So it was the Raiders who laid their hands on the first piece of silverware this season and as the favourites for the tournament it was duly deserved. North Wales were on hand to play out a cracking, nervy final but didn’t quite have enough in the tank to win the trophy for a second time. Barrow will now look to restore their place as the second best side in League 1 starting with victory at home against Hunslet on Saturday evening, meanwhile North Wales should move closer to the top eight with a win at Hemel Stags a day later.